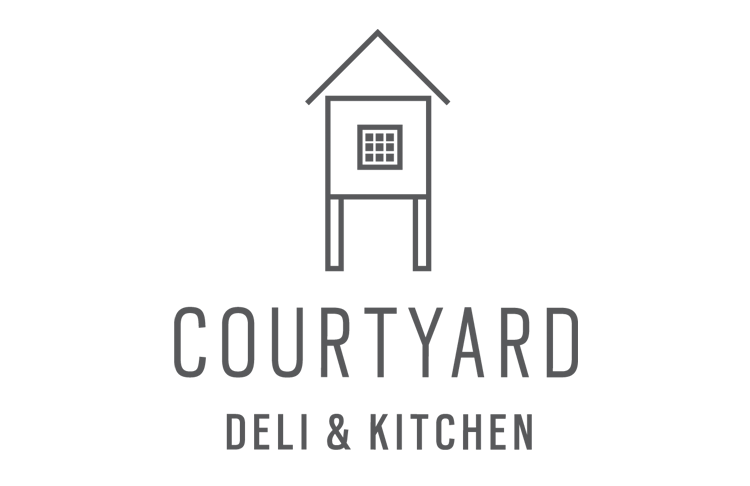 Situated in Bells Court in Falmouth is the lovely Courtyard Deli & Kitchen offering great food in a great atmosphere (inside or out) with the opportunity to purchase some very tasty deli stuff too. As a new venture for owners Chris and Sarah Biggers the brand for the Deli needed a make over, as did the signage, making it much more visible within its secluded Falmouth setting. 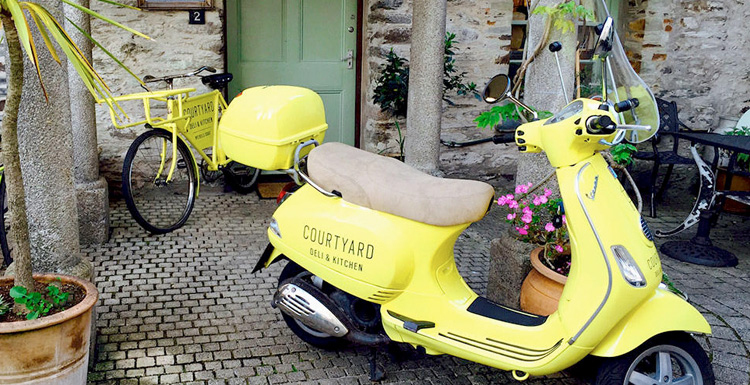 Once the brand was finalised, and the Pantone yellow was decided upon, the brand was applied to all their marketing material, including signage, printed material, scooter and bike (having had a very smart paint job by Bodyworks in Penzance and new livery vinyls by 20/20 in Falmouth). 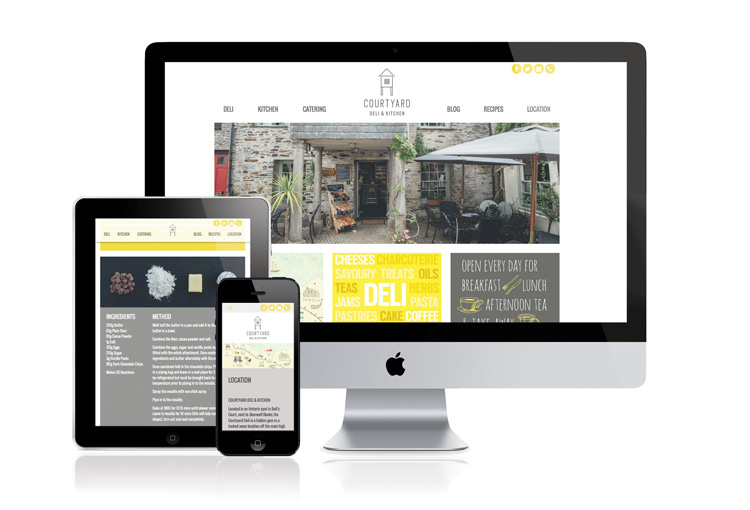 With many elements to the Deli & Kitchen itself, the website needed to have real flexibility over the content, be easy to update, and responsive to all screen formats. 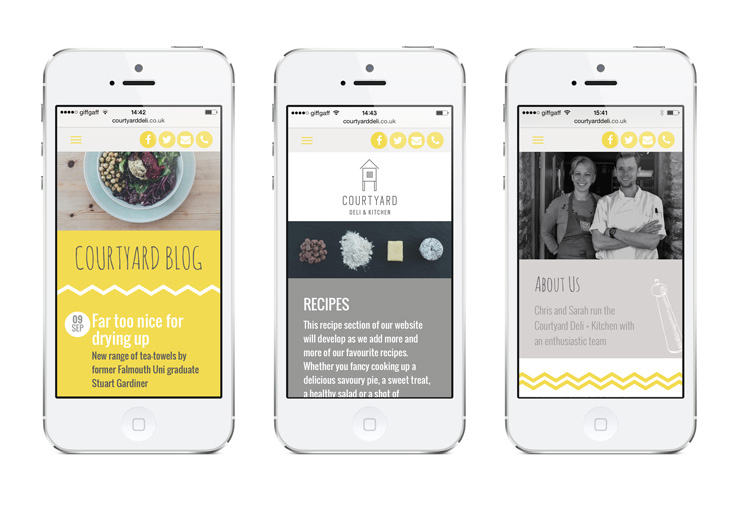 With a blog and growing recipes section, the content can stay fresh and with a colour pallette to match the branding, the editable content blocks within the website pages provide eye-catching calls to action. 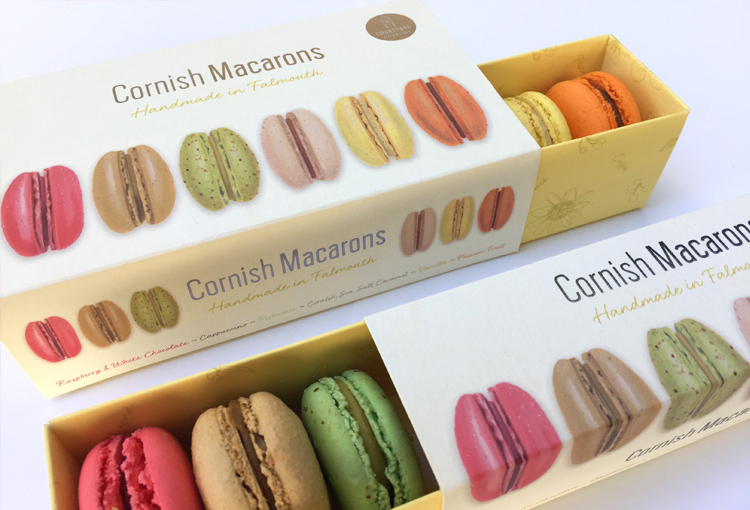 In 2018 The Courtyard Deli & Kitchen are expanding their business to launch their own brand of Macarons. 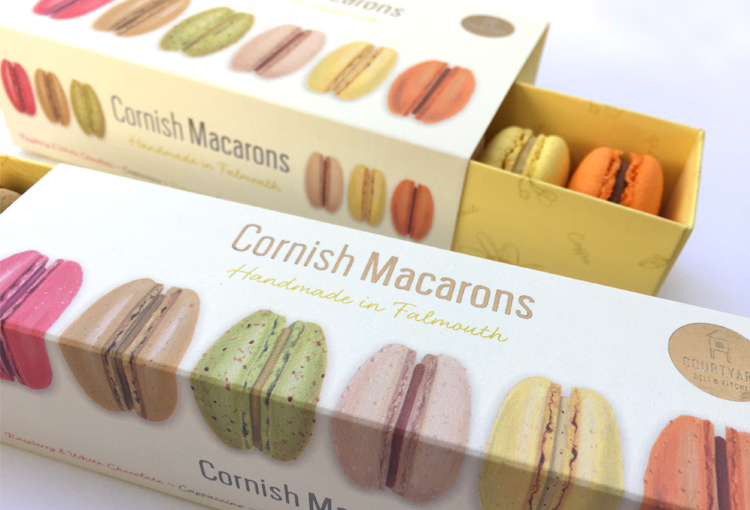 Hudson Armstrong have been delighted to continue our partnership with them and produce the packaging for this exciting new product. "We really value our partnership with the team at Hudson Armstrong and have come to consider them an extended part of our business since we started working with them 18 months ago." 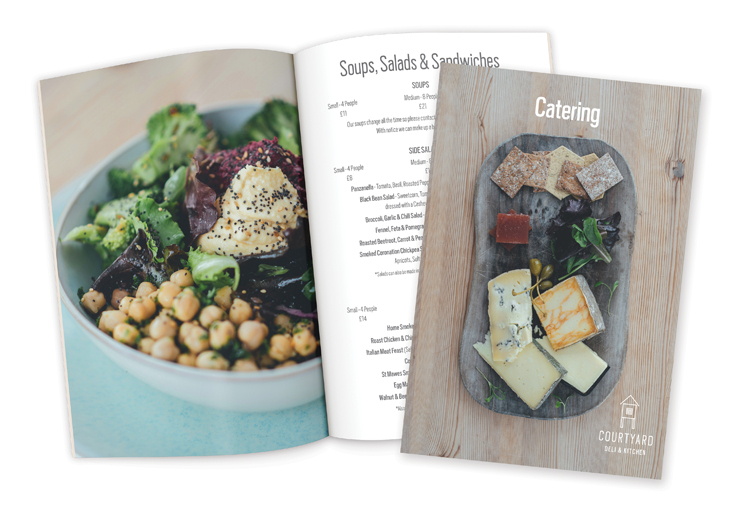 "We approached them, initially to help us design a new brand identity and website for the Deli. We had a number of ideas but weren’t 100% sure on exactly how those could come together. Bob, Jo and team were quick to understand what our intent and vision was for the business." "They interpreted the sort of look and feel we were trying to create and helped refine our thoughts into something that we’re really very pleased with. 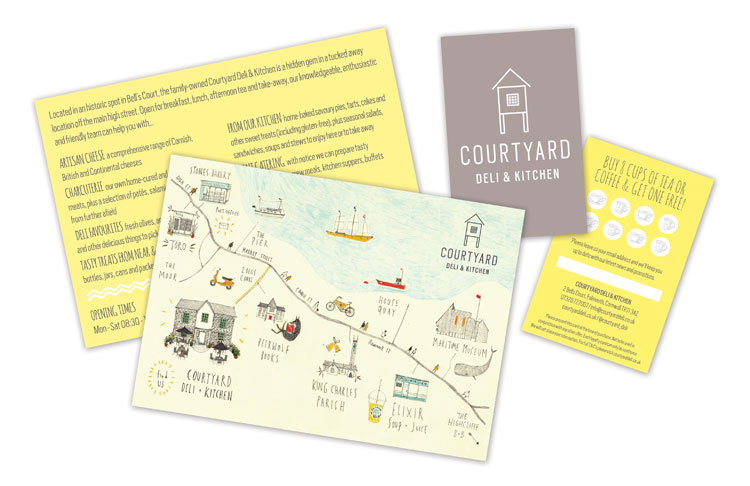 For a little back street deli, we feel we punch above our weight in terms of our branding, website and offline marketing materials."